Having trouble making the right choice in choosing the bag that best suits your needs? Our comparisons below may help you! ☆　What is strap drop length? This is the longest length of the strap measuring from the shoulder to the bag. Use this measurement to determine where the bag will fall on you, or if it would comfortably fit you as a crossbody bag. 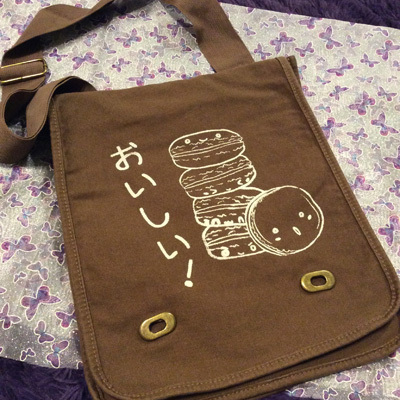 ☆　You can email us to request your bag be printed on any of the custom colors listed for each style of bag. Our biggest bags, these messenger bags are heavy-duty canvas cotton cloth, with a wide interior, and a front flap where the design is printed. 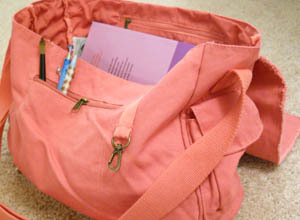 They can easily fit textbooks or a laptop with room to spare, and make a great overnight bag. 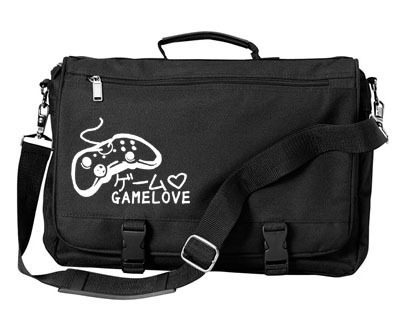 The long adjustable strap means it can optionally be used as a crossbody bag, and canvas material makes them soft and comfortable to carry while being durable at the same time. Two side pockets with snaps make convenient cell phone pockets. 2 outside side pockets with magnetic snaps for cell phone/pencils/etc. 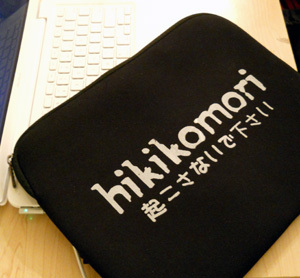 These size bags can easily fit a laptop up to around 15.6", several textbooks, or a change of clothing. The wide strap is adjustable and made of sturdy, comfortable, cotton webbing, and the twist clasps in front keep the flap closed and your stuff secure. These cinch bags are stylishly dyed and super roomy. The strong webbed straps fit neatly over your shoulder to allow hands-free carrying perfect for skateboarders and bikers. 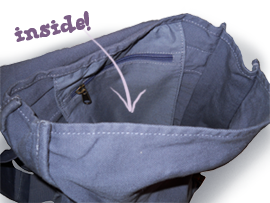 A large zip pocket on the front allows easy access to your important stuff. The cotton canvas fabric is comfortable and sturdy, and also makes these bags a snap to take care of - just toss it in the wash and go! If you've been waiting for backpacks in purple and black (two of our most requested colors), they're here! 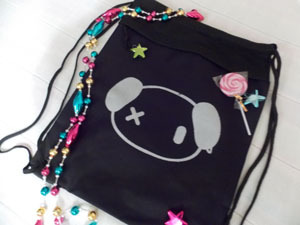 These new canvas backpacks have a super cool and stylish design - these are the coolest backpacks we've seen in a while. They are really comfortable to wear with wide cotton weave straps (adjustable!) and a cinch drawstring with toggle. They're also big enough to fit a small laptop or several textbooks, or are perfect for hauling your loot around the convention floor. 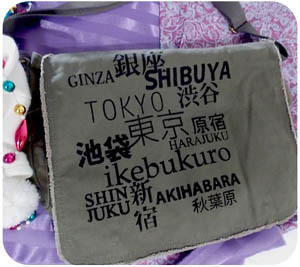 These polyester messenger bags mean serious business and can satisfy your hungriest craving for pockets! The adjustable strap with shoulder pad and nickel finish hardware adds style, and the reinforced carrying handle is amazingly durable. 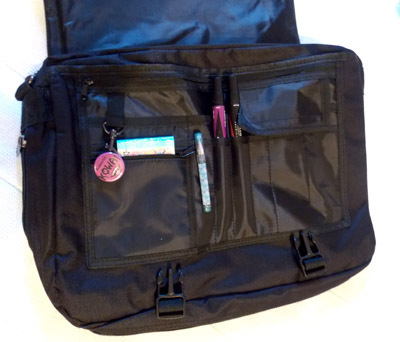 A front zippered pocket keeps important things handy, while a key clip and organizer under the flap lets you keep pens and pencils, small electronics, or zip up small items safely into little pockets. The roomy inside expands to 3 inches deep at the bottom and will fit up to a 17" screen laptop. 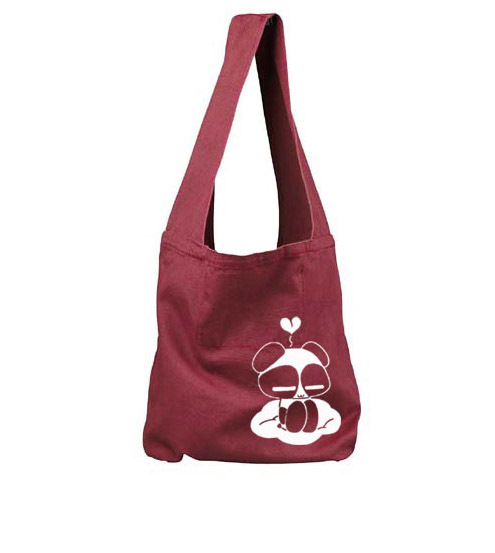 These cotton canvas totes feature an extra-long strap that make them perfect for wearing crossbody style. At 13 inches wide by 16 inches tall, with a roomy open interior, they are large enough for shopping, school binders, or toting around conventions and festivals. 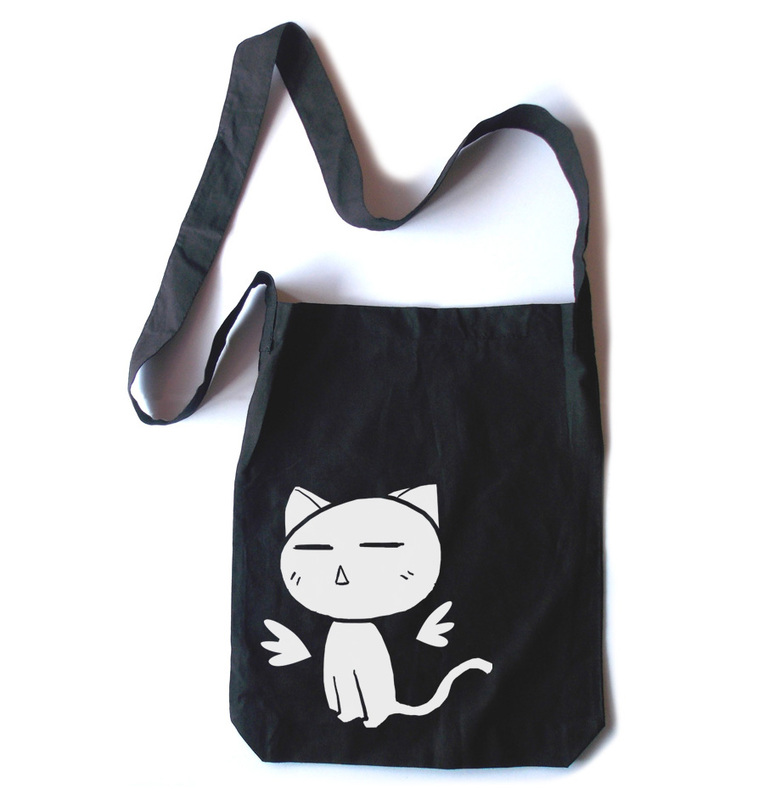 These super-cute oversize tote bags are perfect for shopping in style! ♡ The "hobo bag" style gives them a surprisingly roomy interior, making this bag great as a carryall, beach bag, or even an overnight bag. Soft canvas makes them super comfortable, and an inside mini pocket prevents you from losing important things. 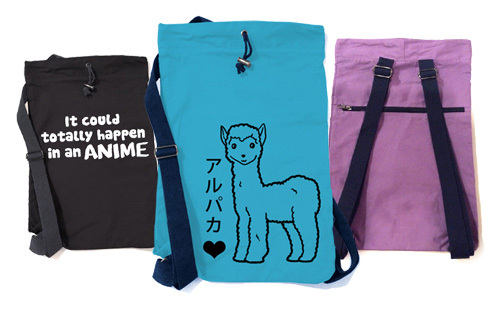 These canvas tote bags are infused with extra fashionable-ness! They have a distressed finish around the edges, contrast stitching, and direct-dyed colors. The wide, comfortable canvas straps are attached with brass hardware for a stylish look. They're roomy enough to carry plenty of books, electronics, or all your purse essentials, and definitely cool enough to stand out in a crowd. 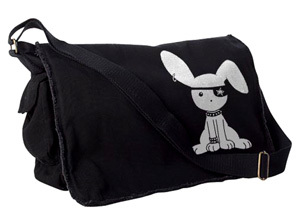 The drawstrings let you easily carry over-the-shoulder or backpack-style, and reinforced corners add extra durability. A large zip front pocket covers the whole front and provides a secure sleeve for important stuff separate from the main compartment. 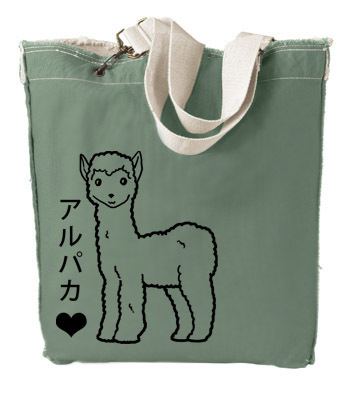 The ultimate tote! These polyester bags are extra-large with a water-resistant polyester exterior. The main compartment zips fully closed to keep all your items secure. The strong webbing handles have reinforced sewing for durability and are long enough for easy over-the-shoulder carrying. These neoprene laptop sleeves will give your computer a little extra padding and a lot more style! The 10.2-inch size is perfect for iPads or other similar-sized tablets, and the 13-inch and 15-inch sizes will keep your laptop or Macbook snug and safe.